I have spent the last week trying to create a minimal version of the piACC console. After creating a min version for the relays, I figured that the console should be min as well. This should shave a few greenbacks off the cost since it can get by with only a 16G micro SD. It will however also reduce the amount of functionality it provides, which may not be a bad thing. The min version only provides the ability to toggle each of the four relays, all on, all off and basic tools such as shutdown, reboot of both the relay controller and the console itself. For some reason, it is very difficult to get the 3.5 display to work in landscape mode. It is not so much the display itself but the touch screen. I simply could not get the mouse tracking consistent. In portrait it works exactly as expected. It may just take some more tweaking to get it 100%. I would prefer landscape mode. One of the other changes to the min mode is that it does not contain a desktop. I went with OpenBox as the terminal because I found a fairly concise article on configuring just what I needed. 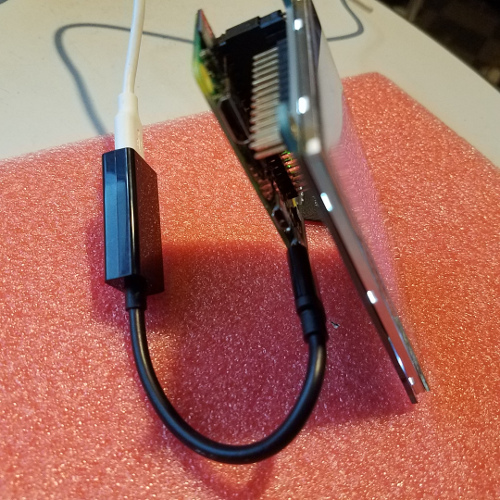 The well documented article showed how to create a small desktop environment which launched directly into Chrome kiosk mode, exactly what I was looking for. 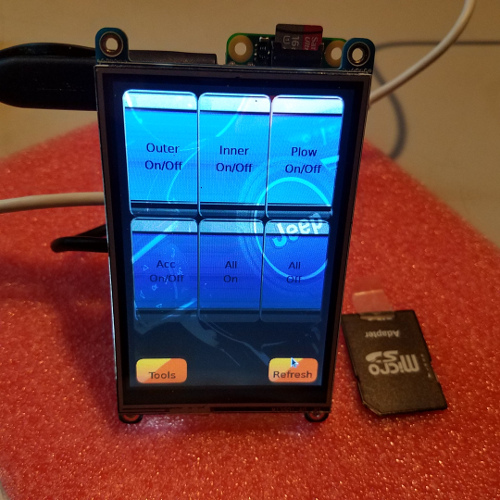 I did a few tweaks to try and improve boot time and there are a few other features I might add such as controlling the TFT brightness via the GPIO pin. This Adafruit article by Lady Ada appears to have everything I need. I also want to shut down the display prior to booting/shutdown which should be solved by this as well. I am not quite satisfied with the boot up time and would really like to find a "sleep mode" for linux that allows you to simply boot up immediately, or a system direct load from memory. 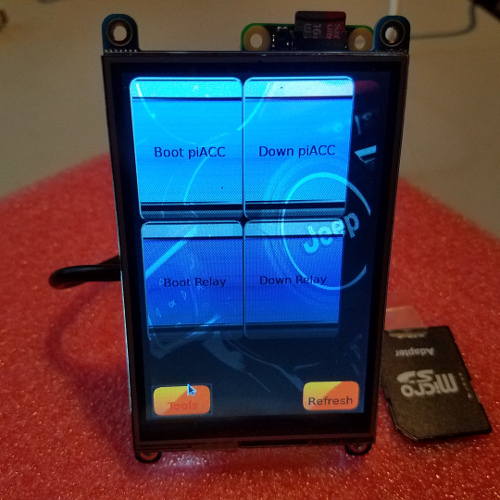 Though not specifically related to the source code, it does provide a small and compact footprint which allows it to simply be used as a switch bank. I am considering mounting above the mirror for testing, allowing easy access to the relays during vehicle use. My other thought is possibly on the center console since there is already a usb power connector on the center console glove box. All in all, the min version seems to be a nice compact solution.